Canadian singer/songwriter/humanitarian/teacher/farmer Ed Roman is the epitome of a positive and inspirational human being. Not only is he a brilliant and award-winning songwriter and multi-instrumentalist, Ed continuously gives back to his local and world community. Ed is a farmer who grows what he eats and shares that food with his friends, family and neighbours, giving them all the gift of life and sustenance. Ed recently travelled to Jamaica to deliver humanitarian aid to the poorest villages in the beautiful but desperate country. 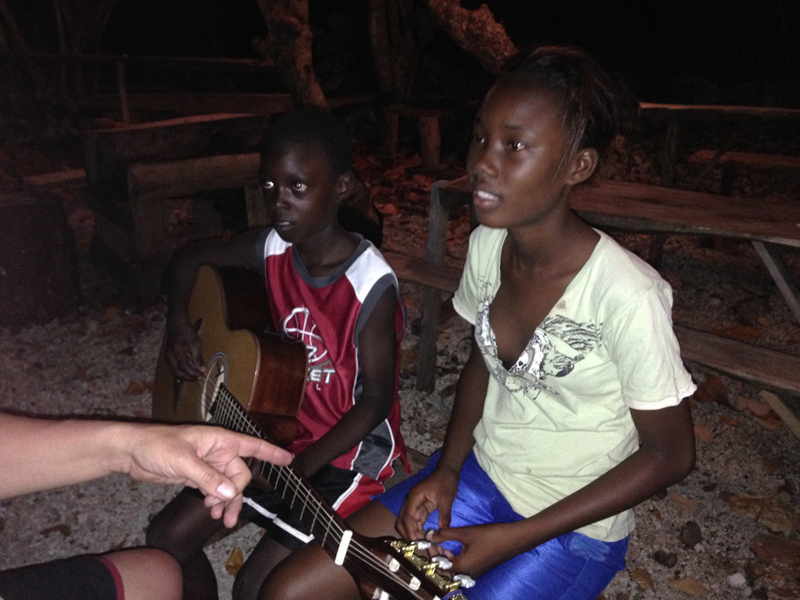 In addition to the aid, Ed shared his gift of music with the children of the village, leaving behind a guitar with one of the youth who showed much interest and promise. He will return to check up on the young boy’s progress. When I think of great musicians who are and were outstanding human beings, I think of U2’s Bono, Elton John, John Lennon and Ed Roman. His caring and generous soul inspires me daily to be a better person. Thanks for this, Michael. It’s great to see how much Ed inspires you on a human level, above and beyond your professional relationship. Glad to know about this Canadian talent! Hi, I just wanted to say I’m one of Ed’s neighbours, and Ed and his wife are both fantastic. I’ve just feasted on some of their strawberry rhubarb jam… mmmmmmmm. They are both fantastic; Kim’s pottery is gorgeous and Ed’s music is absolutely fantastic. His kindness knows no bounds and he is a shining example of someone we should look up to. I can honestly say I’m an “Ed head,” and damn proud of it. Great to hear it, Ken! Thanks so much for sharing. Glad you found the Continuum entry!